Oh. Yeah, we could do that! 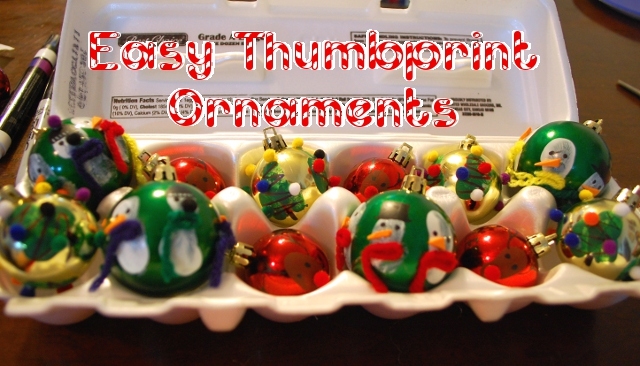 We made tall white thumbprints for snowmen, round brown thumbprints for reindeer, and green thumbprint triangles for Christmas trees. 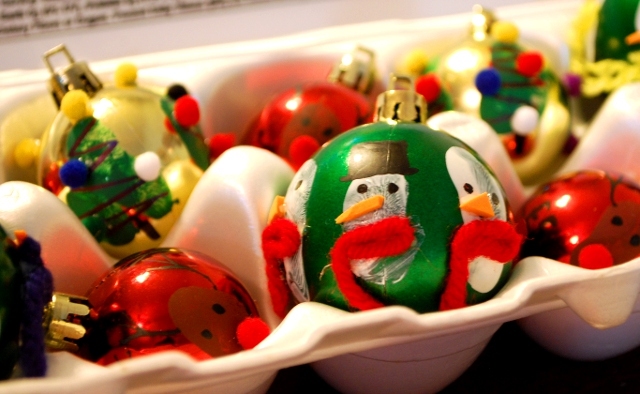 Next: to decorate! 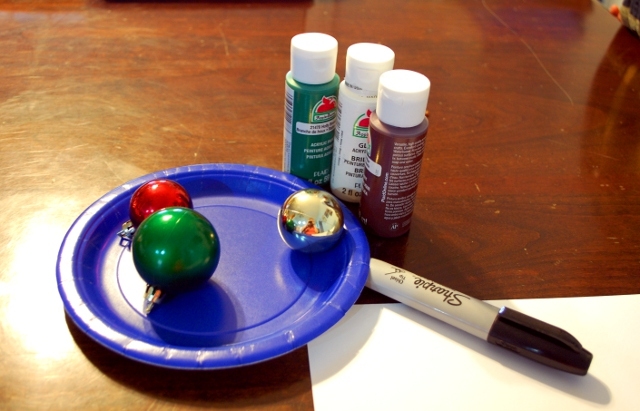 We used a black paint pen (paint would also work, Sharpies might work), a glue gun, teeny tiny pompoms, yarn, and little scraps of orange foam to decorate our ornaments. Use your imagination and what you have on hand! 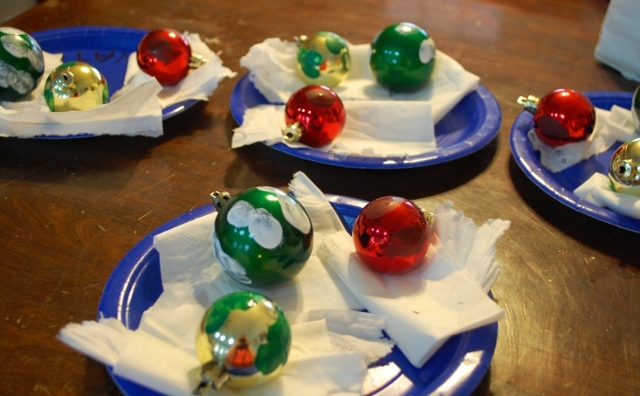 This ended up needing a LOT of help from me, but it wasn’t hard and the kids were SO proud to hang them on the tree. I love the crocheted hat for the boys. How can I make them larger for me? I’ve been looking for a ladies crochet pattern like the boys 2 blue hats you have pictures. How do you increase the size? Continue to increase 8 hdc per round until the crown of the hat reaches the required diameter. I talk about how to calculate that here.